Opened in 1899, Hotel Bristol has a rich cultural and historical legacy and it has always been the number one choice for numerous distinguished guests. This well-known landmark in Odessa is located across the Philharmonic Theater and a couple minutes away from the most important touristic attractions, museums, concert halls, shopping centers and fine restaurants. It is the perfect place to stay when you are visiting “the city on the Black Sea”. 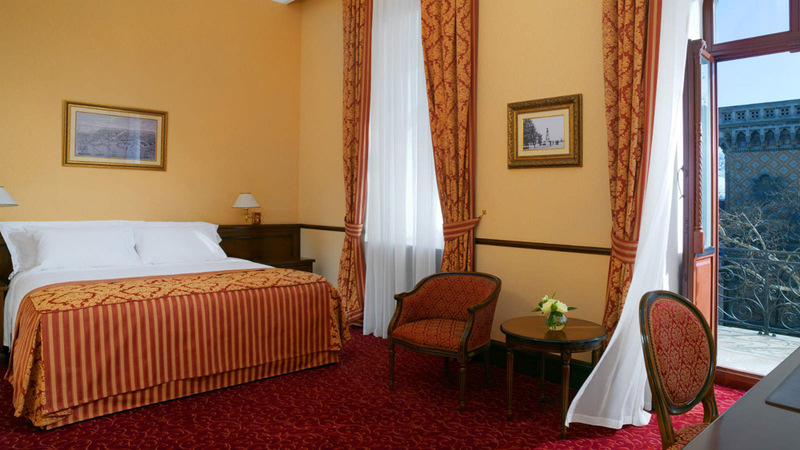 Countless travelers from across the world, intrigued by the beauties of this charming seaside European city have enjoyed the exceptional services and comfort provided by Hotel Bristol. Its refinement and hospitality are two of the main reasons why visitors are impressed with this luxurious accommodation unit. Ukraine is a very chic and cultural destination and Odessa is one of its most beautiful cities. It comprises an amazing collection of historical sites, cultural treasures and seaside delights. Naturally, when you are visiting the city, you want to enjoy luxury, intimacy and great services so choosing the right hotel is essential. Thanks to its huge passion for elegance and rich knowledge of its customers’ expectations, Hotel Bristol offers to every single customer the invaluable authentic experience as a premium accommodation choice. 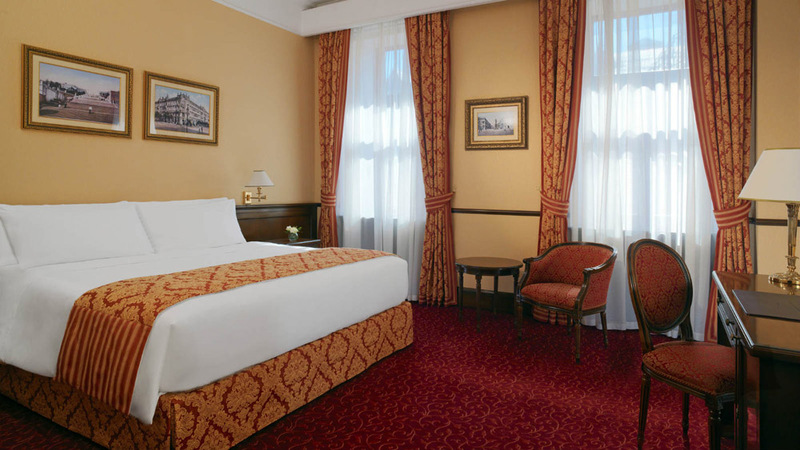 The unique location across the Odessa Philharmonic Theater has turned the hotel into one of the most preferred meeting places for Odessa’s business, touristic and cultural life, for all types of travelers from celebrities and politicians to businessmen and high-end visitors. It is the landmark that attracts guests through excellent services, authentic hospitality and unique architecture. This beauty and grandeur of Hotel Bristol is amazing. This historical accommodation unit offers 113 rooms and 16 suites, a Fitness and Spa center with a breath-taking city view and can host elegant dining venues in its Le Grand Café Bristol Restaurant and Bristol Lobby Lounge. It encapsulates the perfect setting for stylish touristic visits, dining venues, conferences and fine culinary experiences. Its historical charm, luxurious interior and irresistible selection of gourmet dishes recommends it for Odessa’s most delightful explorations and its surroundings. If you love good food and the finer tastes in life then you will adore Le Grand Café Bristol Restaurant located on the ground floor of Hotel Bristol. Its menu encapsulates dishes from world cuisines, savory drinks and an exquisite range of wines. Your evening will be completed by the lush feeling of enjoying classy food, piano music and an elegant ambiance. Some of the best highlights of the restaurant are its Italian neo-classical design style represented by Bohemian glass lighting, mosaic columns and hand-made Italian furniture. The interior has a note of grandeur that is exceptionally complimented by the intimate atmosphere and cozy feeling. The lively atmosphere and chic décor make the lobby lounge one of the hotel’s best places for gatherings of all types. With a diverse menu of iconic European dishes, fine selection of drinks and classy refreshments, it is the ideal way of enjoying the best of culture, luxury and lifestyle. For those who prefer a more relaxing and serene atmosphere, Hotel Bristol offers the option of savoring the sophisticated atmosphere from its elegant terrace. 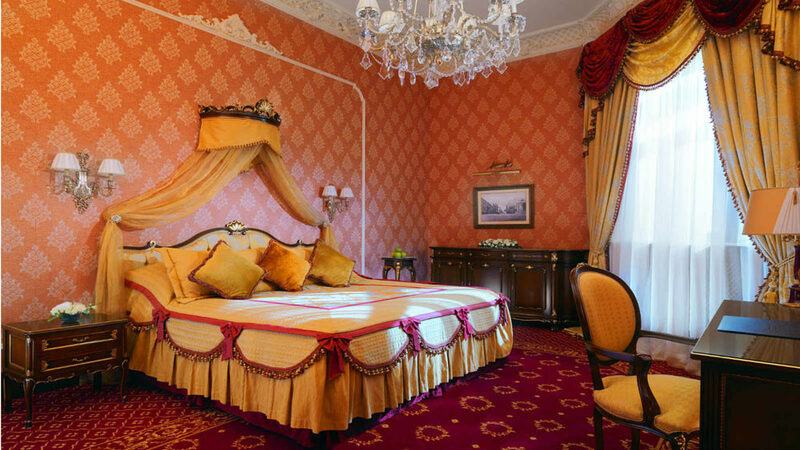 The rooms and suites at Hotel Bristol have been exquisitely restored as to keep the same initial baroque and renaissance styles that are reminiscent for its charming history. This décor is a place where luxury and elegance meet with the goal of providing extreme comfort and lush relaxation to those who are searching for the ultimate hotel-chic experience. 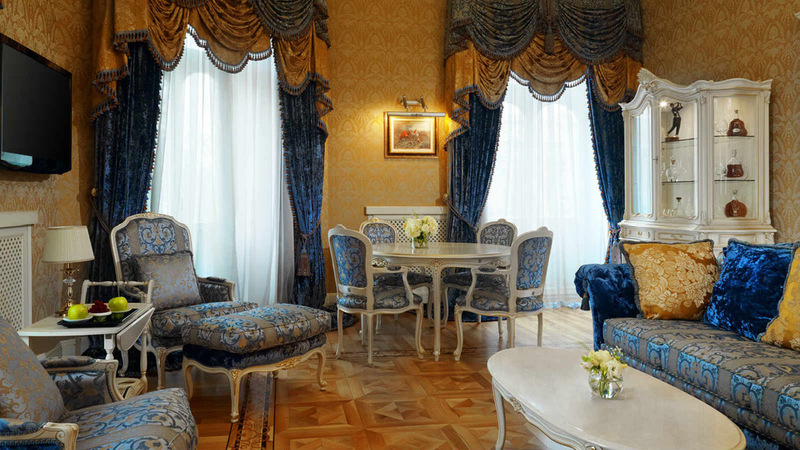 From Mansard Rooms to Grande Deluxe Suites, every single one of its 113 hotel rooms and suites impresses its visitors with an extravagant design, an intimate feeling and an amazing view over the iconic Pushkinskaya Street and the graceful peaceful hotel courtyard. 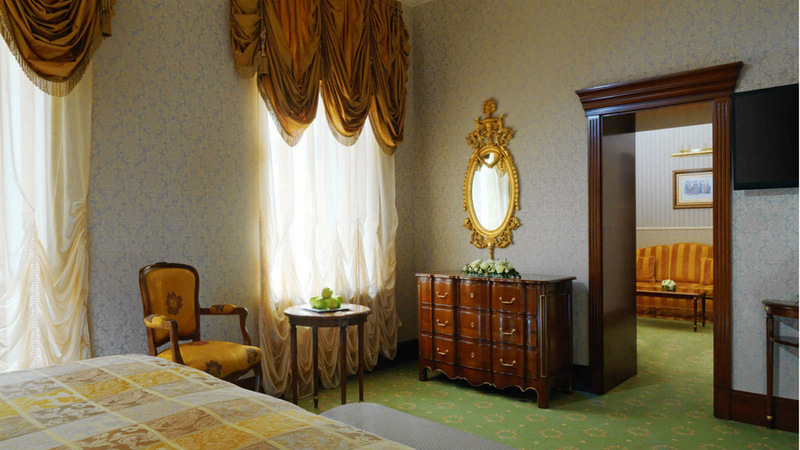 The vintage elegance of the rooms is exquisitely complimented by the opulent custom made Italian furniture. 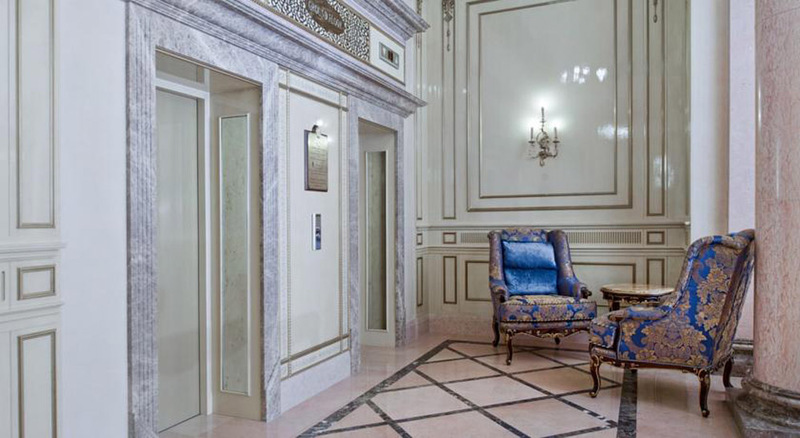 The neoclassical design of the hotel is perfectly reflected into the aesthetics of the ample marble bathrooms. 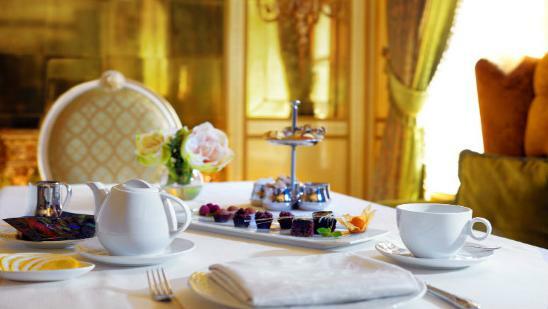 If you want to feel like royalty then a stay at Hotel Bristol will do the trick. Its hotel rooms and suites were made to serve the accommodation needs of kings and queens. This regal vocation can be seen in its past century grandeur, classic architecture, luxurious furniture and state of the art technology. The top floor is an elegant collection of idyllic rooms decorated with charming roof windows in ivory and light beige shades. The vintage wooden furniture and the retro architecture make a beautiful mix of coziness and intimacy- such essential pleasures when you are visiting a cultural and picturesque city as Odessa. Of course, the most lush pleasures are represented by the king size signature Luxury collection bed, the coffee and writing table, the generous marble bathroom, the lavishing bathtub, signature bath amenities and plush bathrobes. Representative for the iconic hotel style, Deluxe rooms are spacious, painted in tones of light and dark red, and offer delightful views. 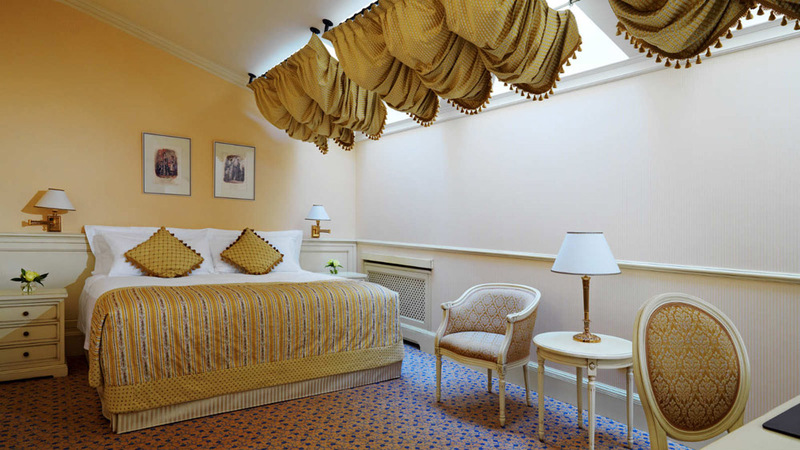 Their elegance and sophistication reflect the authentic historical values encapsulated by the history of Hotel Bristol. Classy interior, exquisite Italian furnishing and modern amenities are just a few of its highlights. Other alluring particularities are the king size bed, the chic marble bathroom and the luxurious amenities. Generous and refined rooms with large floor area and a spectacular perspective of the city offer the most stylish way of enjoying the best Odessa has to offer. Classic design, elegant fabrics, unique furniture, royal balconies and the fresh sea breeze are just a few of the pleasured provided by each stay on one of the Grand Deluxe Rooms. For travelers who are looking for a business or leisure getaway right in the heart of the city, the spacious Deluxe Suite with two rooms is surely the best option. With a view over the central street, these suites offer a beautiful bedroom, a chic living room and a large bathroom. Italian furniture by Giorgio Piotto, precious fabrics, crystal lamps and luxurious details are the main secrets of its exquisite designs. 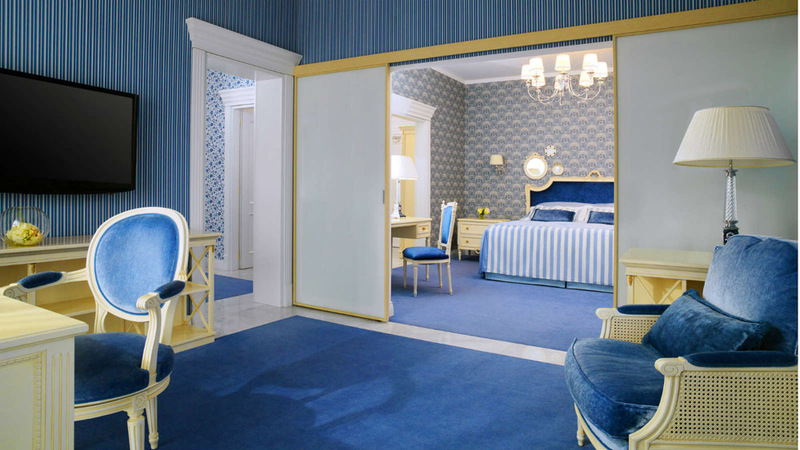 The majesties charm of the exclusive two-room Grande Deluxe Suite is representative for the refinement of Hotel Bristol. The refined design, stylish furniture signed by Angelo Cappelini, the enormous glass windows and the beautiful view of the hotel’s courtyard are what enchants each visitor. The 59 square meters floor area includes a luxurious bedroom, a sophisticated living room and a remarkable Victorian style dark marble bathroom with Jacuzzi. These gorgeous apartments enjoy a total floor area of 90 square meters and they are located on the top floor. A Luxury Fashion Suite is ideal for family holidays, romantic getaways or artistic tours. Each apartment includes two bedrooms that have their very own large living room, a study and separate white marble bathroom. 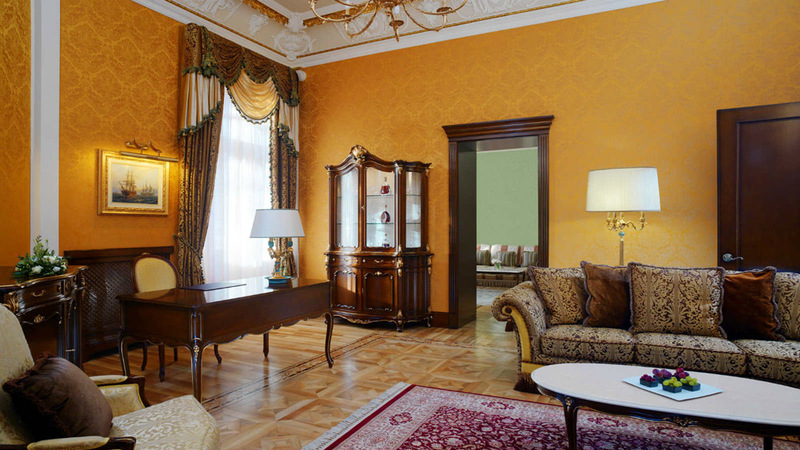 The presidential Suite has been carefully restored following the initial design marked by the archived photos history. This 60 square meters accommodation unit is located on the 1st floor and has a remarkable golden tall ceiling, pistachio-caramel design and exclusive Italian furniture signed by Angelo Cappelini. The suite offers a vintage style bedroom, an elegant living room, a sitting room, three balconies and a gorgeous marble bathroom. This exceptional suite has a total floor are of 60 square meters and it is located on the 2nd floor. It is the perfect mix of retro design and modern comfort. Its impressive bedroom has ceiling paintings, the large living room offers access to balconies with a beautiful view of the city and the bathroom is decorated with dark marble. Sumptuous crystal chandelier, Italian furniture, parquet floors and elegant drapes are just a few of the gorgeous qualities of this suite. 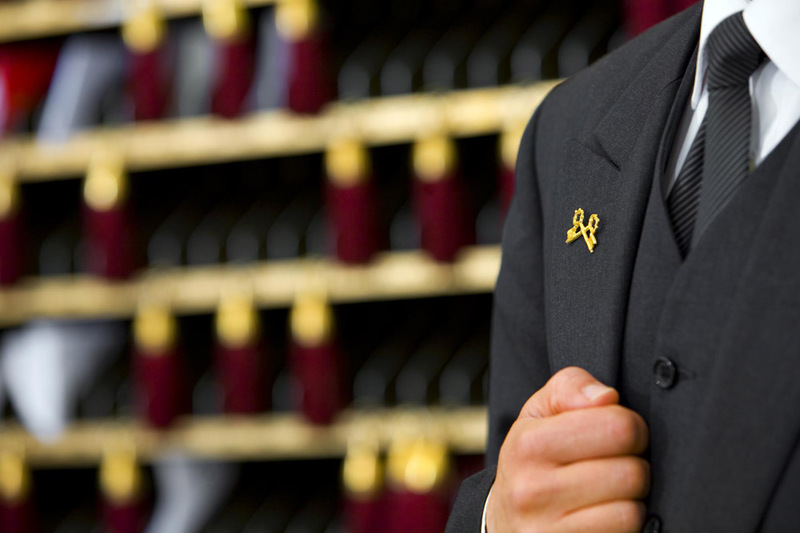 Your stay at Hotel Bristol will be a very exquisite travel experience thanks to the professionalism, passion and hospitality of its Concierge Team. All the mysteries and best attractions of Odessa will be unveiled by its friendly staff who will guide you through the beautiful journey of discovering the charm and authentic splendor of this European city. Hotel Bristol’s Concierge Team will be at your service twenty four hours a day, always prepared to assist you on the path of experiencing the best of Odessa. Located 12 km southwest from the hotel, Odessa International Airport allows visitors to easily travel to other International or local destination cities. 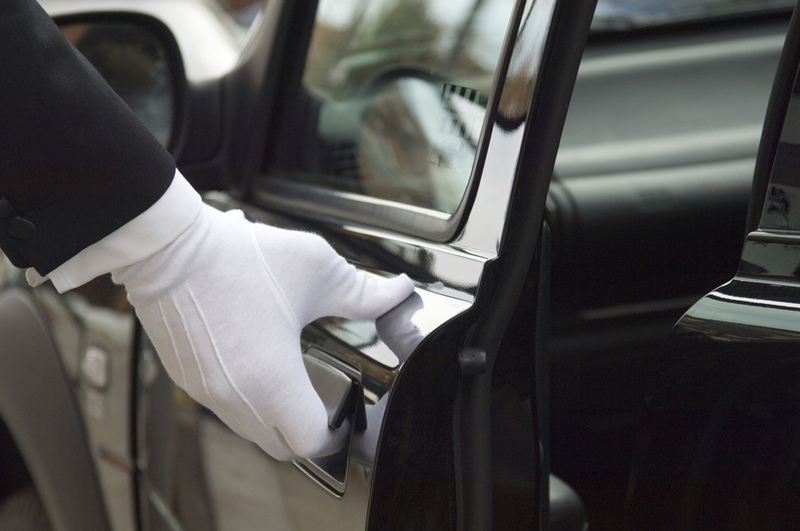 Keen on providing the best services to all its customers, Bristol Hotel ensures transportation services that make the transfer from the airport to the hotel a true pleasure. Premium class cars and luxurious limousines are just a few of the options it offers exclusively to its valued clients. The travel time is about 30 minutes. 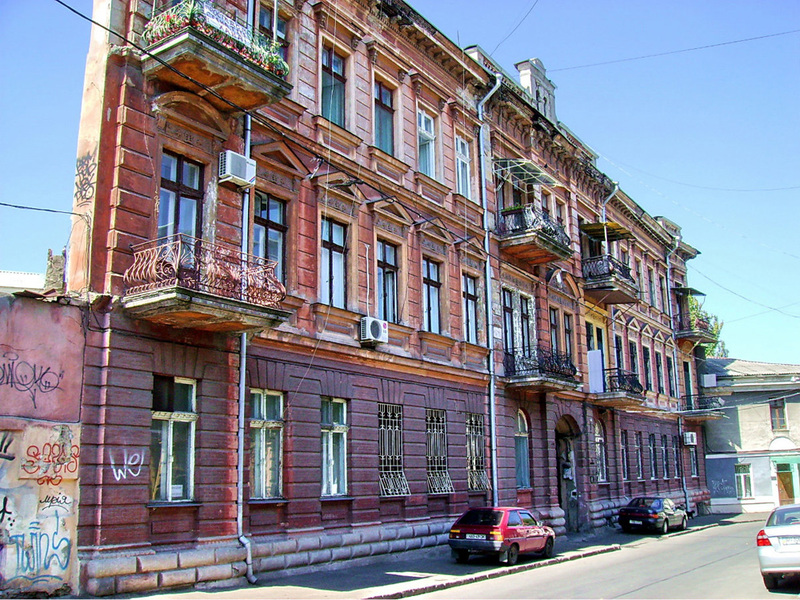 Odessa is one of the most fascinating tourist destinations in the world. It is rich in historical places, great architectural monuments, beautiful theaters, palaces and fun things to do. No matter if you are visiting this fascinating legendary city on the Black Sea for business or pleasure, it will enchant you with its vibrant atmosphere and colorful urban décor. The Odessa National Opera, the Ballet Theatre, the Primorsky Boulevard, the Potemkin Stairs, the Vorontsov Palace, the Monument to Duce de Richelieu and Catherine the Great are just a few of the tourist attractions in Odessa that are famous across the world. There are many options to enjoy your visit. For more fun and cultural experiences, join the delightful city sightseeing tour; hang out at the most popular clubs and lounges, relax on a sunny beach, and your stay at Hotel Bristol will be truly unforgettable. 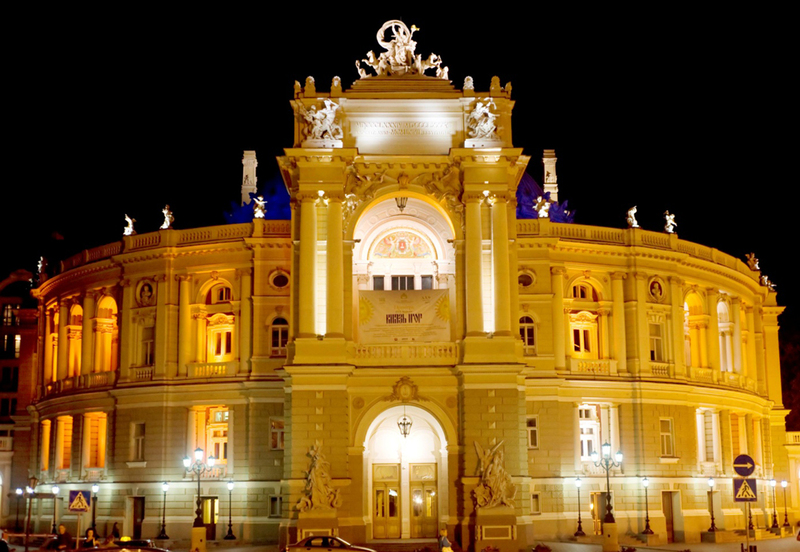 When you’re travelling to Odessa, one of your main visits should be dedicated to the Odessa Opera Night. This is one of the most impressive and beautiful opera houses on the globe and the greatest architectural attraction in Ukraine. The productions it hosts are only the best classic operas or ballets in the country. The building was designed in 1887 by the famous Viennese architects Helmer and Fellner. The inside horseshoe-shaped room where the shows take place has the unique ability of conveying even the fadest whisper from the stage to every corner. Besides the spectacular Opera house, Odessa has numerous other special and memorable attractions, such as festivals, music clubs, theatres, monuments and beautiful beaches. But let’s not forget that Odessa is also a wonderful crossroad of cultures and an important commercial port. This turns it into the perfect city for conferences, exhibitions and seminars all year round. The Primorsky Boulevard and Zhvanetsky Boulevard are linked by this obscure pedestrian bridge that has a long and interesting history which begins in the ‘50s when the construction was designed. Supposedly, the purpose of this bridge was to ease the access of the First Secretary of the Odessa Communist Party from his work place to his mother-in-law’s house. Why is this? Because she made the most delicious pancakes ever and he couldn’t resist spending a day without eating them. 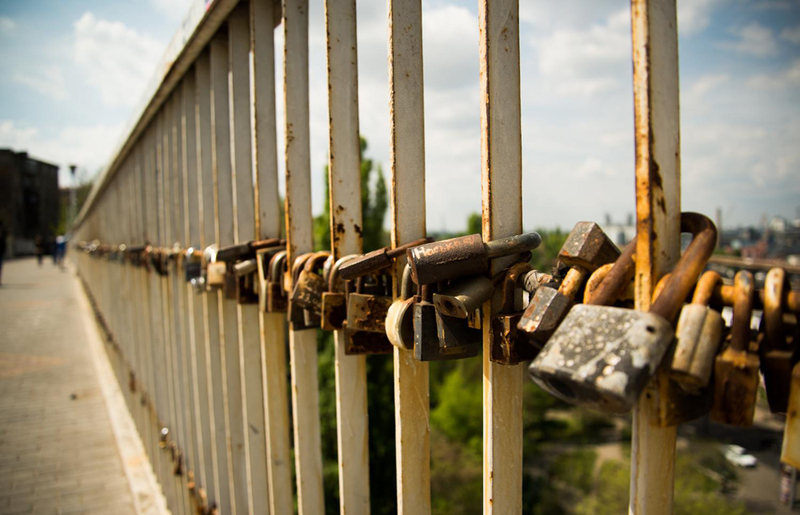 Some people claim that this story is just an invention designed to attract tourists, but locals are convinced that it is entirely true as the bridge does not serve any actual communication purposes. And if fun is essential on your holiday and you love the thrill of adventure then come here with a group of friends and jump on the bridge. If the weather is windy and you jump strong enough, the bridge starts shaking. The most interesting and creepy thing about Odessa is that right under it there lays the world’s largest network of underground catacombs. These measure over 2,500 km in length, are incredibly dark and rich in history. Only a very small part of this mysterious network is opened as a museum. 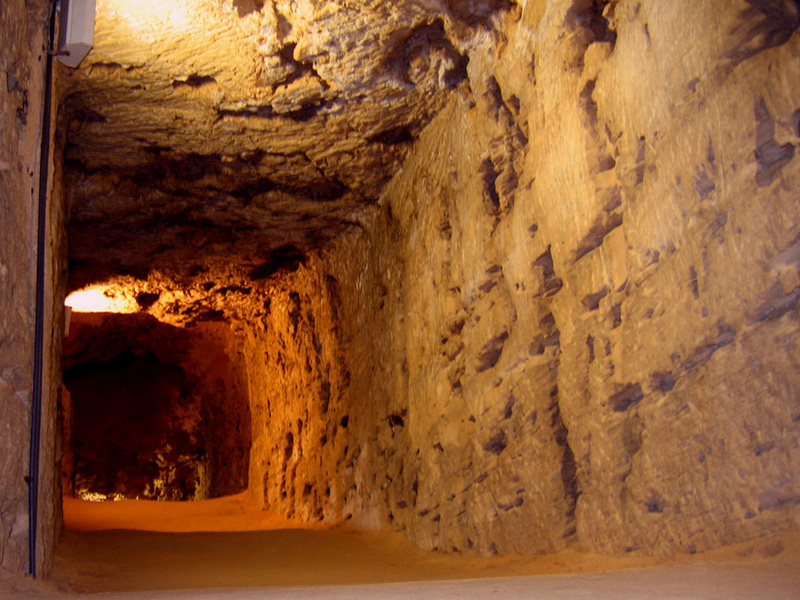 In 19th century were built the first catacombs under Odessa and these were intended as underground quarries, but during World War II, it was uses as a hiding place. Of course, it is not advised to explore them on your own because you could literally get lost over here. You can join organized groups to take a very fascinating tour of the opened sections. At the “Museum of Partisan Glory” in Nerubayskoye, next to Odessa you can take part at an introduction to the world of catacombs. Believe it or not, Odessa has a monument dedicated to an orange. Maybe you have heard that Rome was saved by geese so what is so strange about the fact that Odessa was rescued by 4000 oranges? It was back in the 19th century, when Emperor Pavel I took over the Russian Empire after his mother Empress Catherine the Great passed away. He wasn’t convinced that Odessa was the right city for becoming the Empire’s new grand port. This was because the local government had the talent of making most of the funding disappear into the thin air. The new Emperor stopped the financial contributions and that time it seemed that Odessa has destined to become a common provincial town. The genius idea that locals had to saving their beloved city was to send to Pale I a very unexpected and extravagant gift- – 4000 of the best Greek oranges! He was delighted with the present and it made his change his mind. He doubled Odessa’s financial funding and so the development of this port continued. Now, Odessans joke about it and call it the ‘Long live the bribe’ Monument. Another reason for their irony is the recent move of the Orange Monument from the front yard of the city’s council to the more hidden part of the city- Zhvanetsky Boulevard. 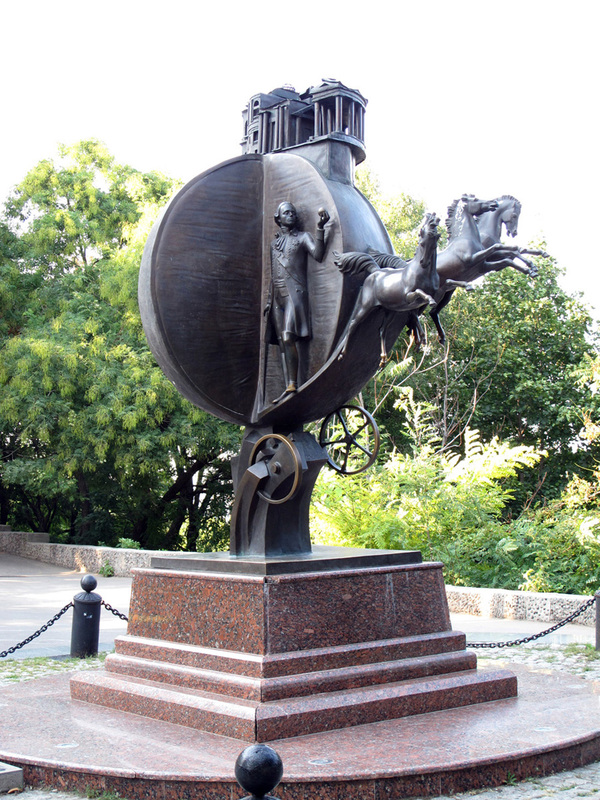 This is an iconic statue for Odessa’s history. Duke de Richelieu was an important politician during the Bourbon Restoration. He was one of the ranking officers in the Imperial Russian Army. 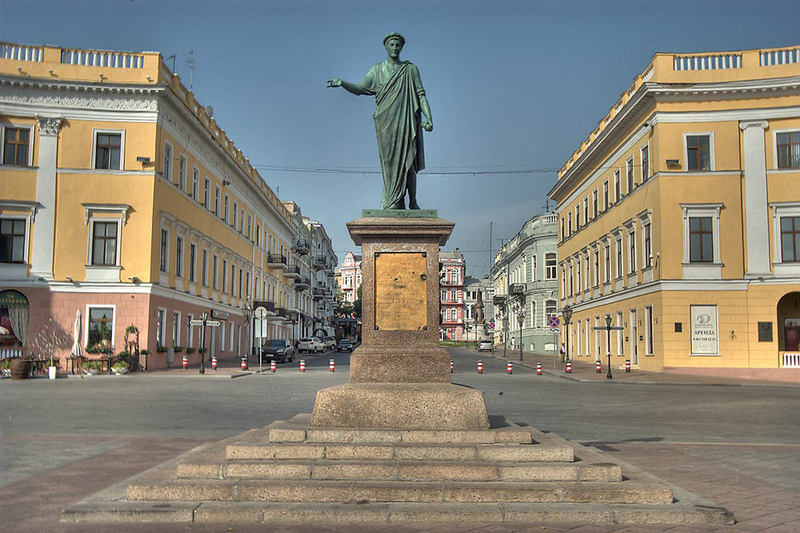 In 1803, he was elected Odessa’s governor and he has one of the main personalities that worked actively at developing the city. In only a couple of years h succeeded into turning Odessa into the third largest city in the entire Russian Empire. To repay him for his sustained contributions to the glory and wealth of the city, in 1828 Odessans built this monument. Strategically placed next to the Potemkin Steps, the statue greets the ships that arrive in the harbor. For locals, the Duke’s Statue is one of the most iconic meeting place, both for romantic and business purposes. The funny thing about the statue is that it is an active presence at all festivals hosted by Odessa- on Jazz Days it wear an Ellington costume and on April Fool’s Day it tries on a sailor cap. Superstition is also part of its charm. Touch its bag of money and you’ll make a fortune or simply make a wish at the Duke’s Statue! Well, it is no quite a house with one wall, but rather a house without one wall. The thing about this odd construction is that instead of having four walls, it has three. 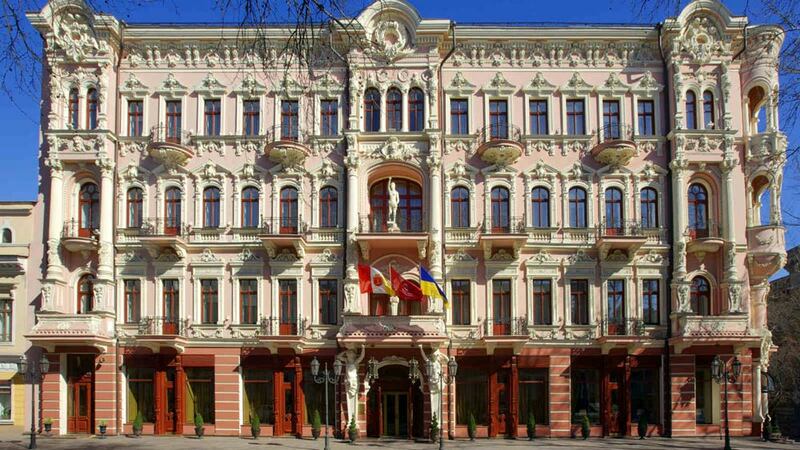 Those travellers who dare to explore the hidden gems of Odessa will be delighted to admire this building. It is fascinating, strange and photogenic so don’t forget to bring your camera. The One Wall House is located on Vorontsov Lane, just a couple of minutes away from the Mother-in-Law Bridge. At first glance, it’s no different than the other endless old, rusty, decadent houses in Odessa, but from the right angle it surprises with the illusion of having just the front wall. Other colorful and fun names given by both locals and travellers to this unique construction are Flat House, Witch’s House and Devil’s House. 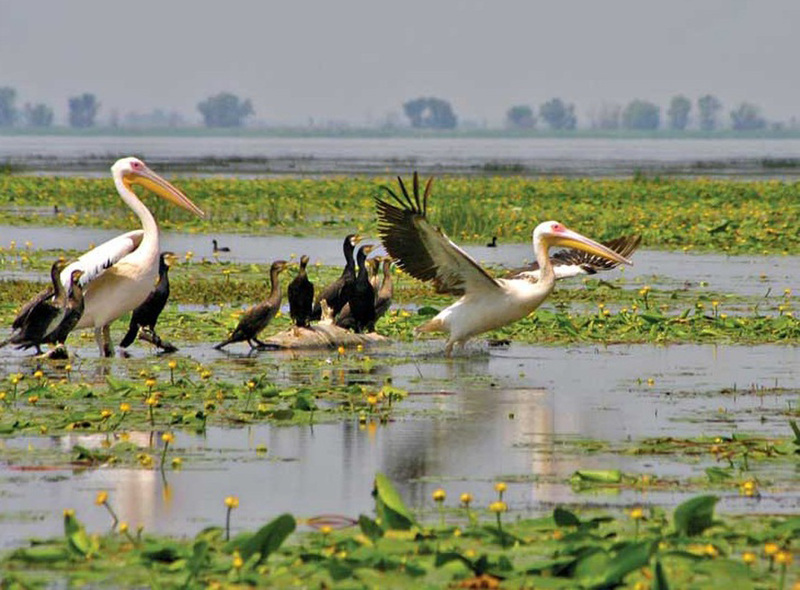 To discover and admire the wildlife you simply need to visit the Dniester Delta national Park which has a great international importance. Here there are numerous endangered species, both animals and plants, listed in Ukraine’s and Moldova’s Red Data Book, as well as in the World Conservation Union’s Red List of Threatened Species. One of the most valuable and endangered species has its nest in the wetlands and it is represented by the glossy ibis (Plegadis falcinellus). This piece of paradise is a truly unique traveling experience that simply cannot be missed out.